UTSIDE OF EASTERTIDE, the Alleluia is easy enough to sing. The “Alleluia” is sung, up until the asterisk. Then, the complete Alleluia is sung. The verse follows, and the “Alleluia” is repeated in its entirety. By the way, this same method is also used for the very first week of Easter (confusing, no?). LESSER ALLELUIA: Alleluia is sung up until the asterisk. 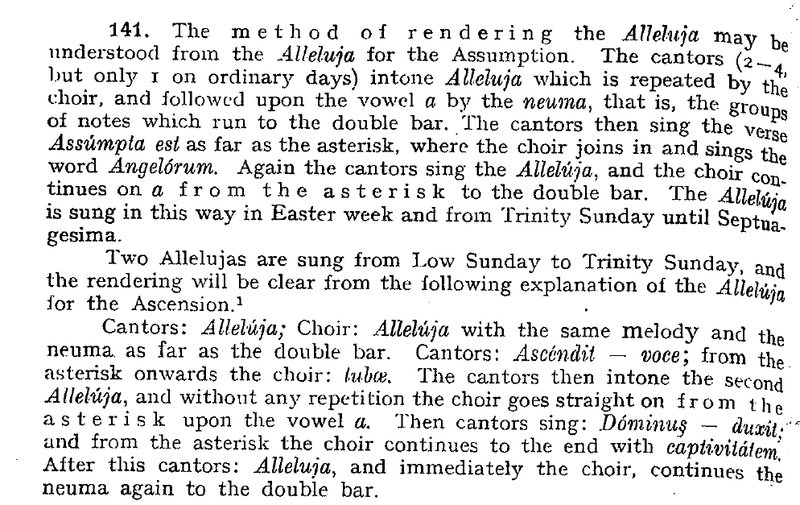 Then, the entire Alleluia is repeated. Then the verse is sung. GREATER ALLELUIA: Alleluia is sung all the way through. The verse is sung. The Alleluia is sung all the way through. If you don’t think my explanation was clear, you can read Dom Johner or the Vatican Preface. However, some people get confused by these, as the wording is not totally clear. 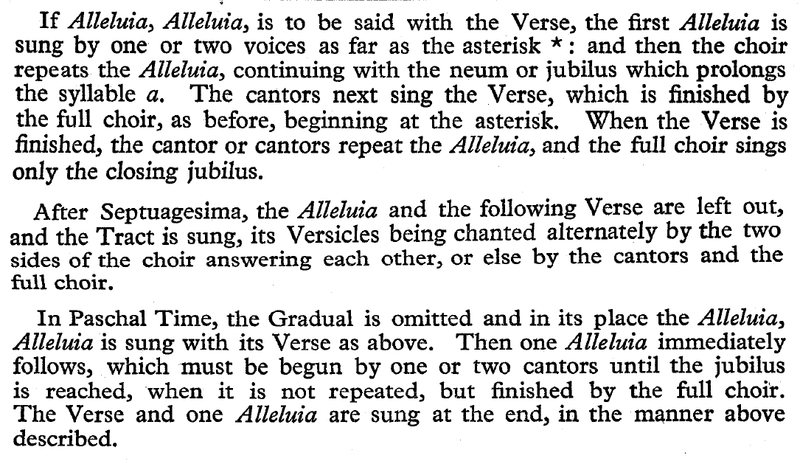 Incidentally, after the Second Vatican Council, the method of singing the Alleluia was changed somewhat, but it is still allowed to use the traditional method.